This flexible tote is sturdy enough and can be used for carrying your number of items. The interior and exterior pockets are quite large and secured enough for holding all of your valuable items. Each of the totes has been lined with shape flex interfacing and batting. Both will permit this tote for maintaining temperate stiffness while maintaining its shape. Create this beautiful carry on duffel bag for your next weekend gateway. This bag is having a perfect size for weekend trips, for gym, or to carry an on-the-go small craft project. So follow our tutorials so that you can get to know the simple tips and tricks for making duffle bags as it’ll not take much of your time. Click Here for this Free Sewing Pattern and Tutorial – The Perfect Damask Duffle. Want to sew cutest handlebar bags for your kid’s bike? 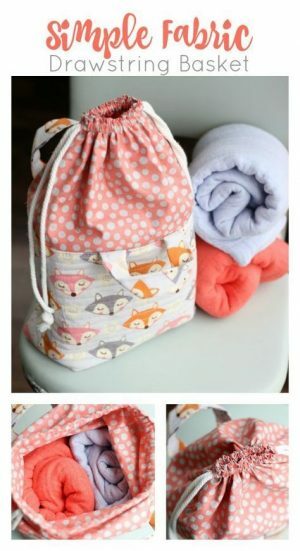 See this tutorial step by step and make handlebar bags just like this which your kids will love. This is great for carrying water bottles, lunch, toys, or to found treasures. You can hang it on the handlebars easily. Now don’t waste your time and start this beautiful project with effective results. HERE is the link for this tutorial. We are having something different for you today! Here is the collection of tips and tricks for bag lovers! Now, you don’t have to waste your money on bags are we are here for disclosing with you some of the easiest and interesting ways for making bags. You can also add other attractive things on it as per your choice. 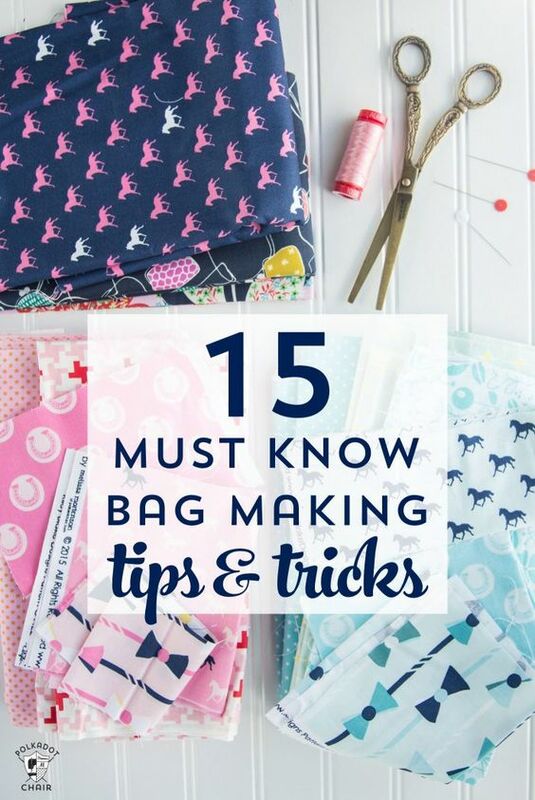 So follow this tutorial and get to know the simplest ways of making bags. This one really got everyone’s attention! This cute boxy looking pouch which has open wide zippered pouch that is very interesting in learning how to make this in the easiest and quickest way. 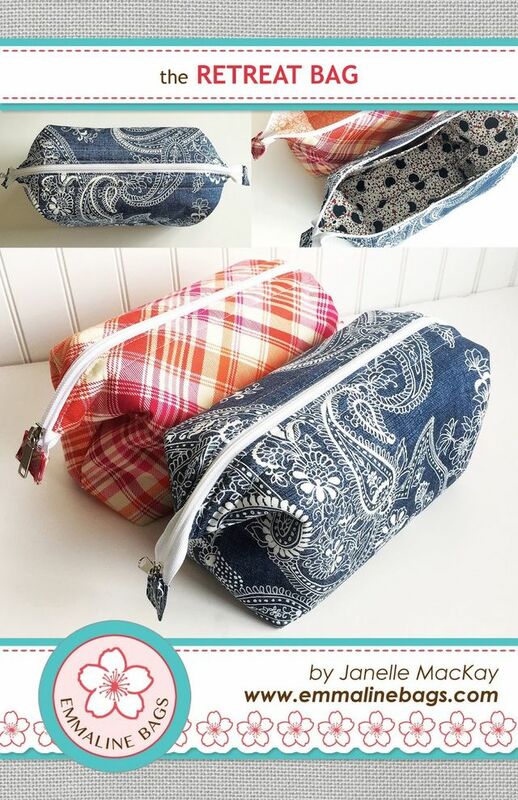 It’s just perfect for anything like if you are going for a picnic, or want to gift someone, for a retreat, swap bag, wet bag or for any other purpose. Here is the tutorial for this beautiful bag. The swiftest and the easiest sewing project which can be sewn in an hour or less. Doesn’t matter if you are a beginner who doesn’t know how to sew. You don’t need to worry as we are here for you as this sewing pattern is for all kind of skill levels. So have a lot on our tutorial and let’s get started! This will be a perfect addition to store your necessary good like makeup stuff, ID card, coin purse and vice versa. It will take literally around 10 minutes to make this vanity bag so it will be a worth a trying project. You can find an illustrated tutorial from this LINK. 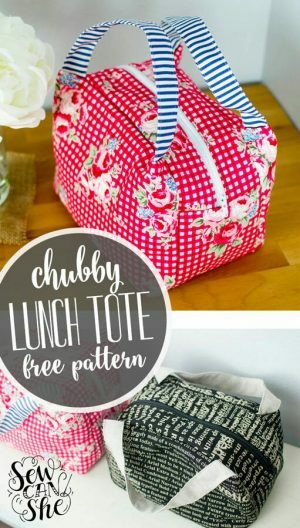 This 7″ tall 11″ wide tote bag is perfect for keeping your lunch box however, it doesn’t mean that you should always use this bag as a lunch bag. You can keep this bag as a makeup container or for anything else that is small enough to keep inside. The pattern is easy if you follow this TUTORIAL.